The gang over at Shulman & Associates is getting one final hoorah. After a healthy lifespan on both Fox and Hulu, Mindy Kaling has announced that the upcoming sixth season of The Mindy Project, due out on the streaming service in September, will be its last. “We’re really excited about this last season. I think the timing is exactly right,” Kaling told EW in an interview. 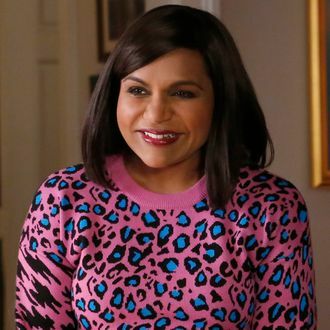 “We started this series when she was single, and now she’s married and has a kid and she has a stepdaughter, and it kind of just felt like [a few] more episodes was all we needed to wind this down.” This season of Mindy ended with a bit of a surprising cliffhanger earlier this week, with Mindy choosing to propose and get married to her nurse boyfriend, Ben, and start a new family with him, his daughter, and her son. However, the ending scene conveyed a palpable pang of regret regarding her decision, so the sixth season will be sure to tackle her newly hitched lifestyle, and, we’re sure, lots of work shenanigans.